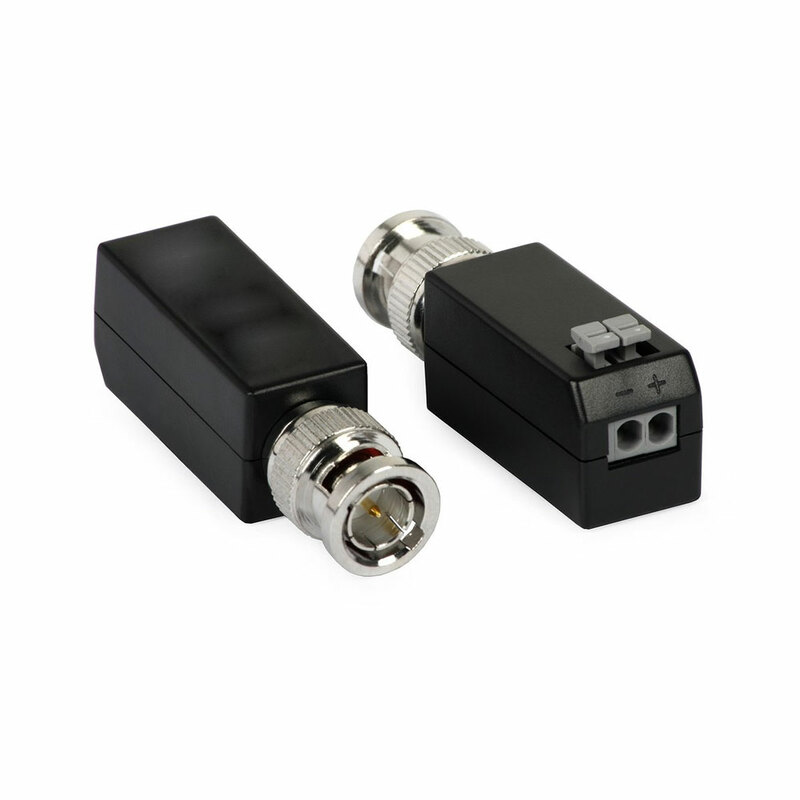 Passive balun transciever for cameras with HDTVi technology. 200 m maximum range with UTP Cat.5E cable . Power supply is not required. High-passive passive transmitter, small size and easy installation, the color signal transmission distance is up to 200 meters, it is very suitable for medium-distance video surveillance, such as office buildings, the community, schools, hospitals, etc.